Today I am going to share with you all a very quick, easy, colourful and tempting evening snack. This Green Peas Vadai is totally irresistible and another shortcut to get the kids to try the dried green peas. 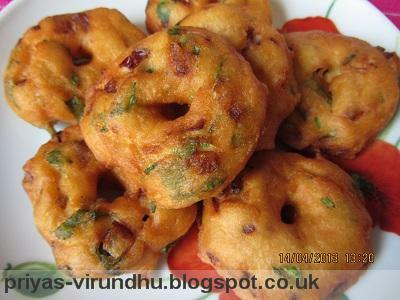 There are certain dishes which look very complicated, everybody might think this vadai is also in the same category. 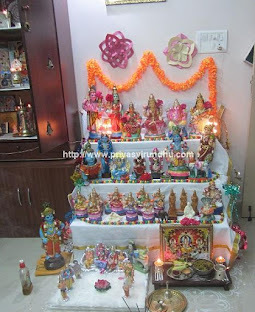 But to tell you the truth, this is one of the easiest fool proof and hazzle free vadais. 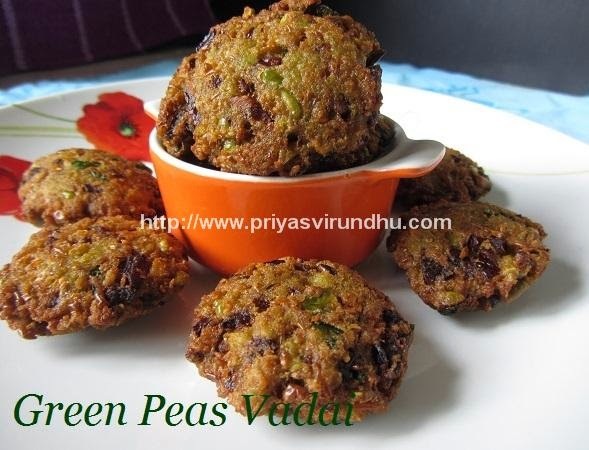 Do try this Green Peas Vadai for your evening snack with a cup of hot tea or coffee, then you will surely agree with me. 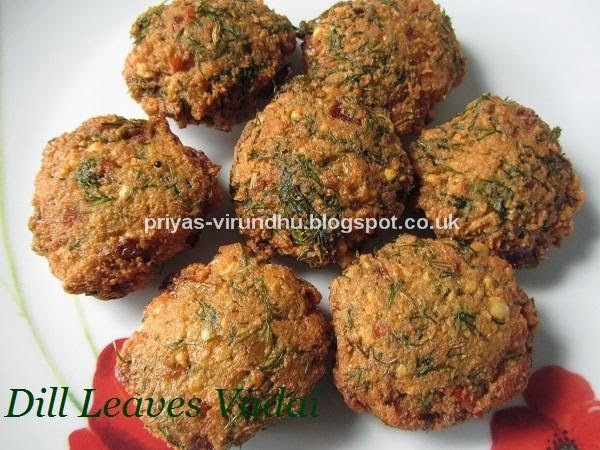 Dill leaves vadai is a very aromatic, delicate tasting and flavourful vada. Before going into the recipe I would like to share a few things about Dill leaves. Dill is native to Mediterranean and East European regions. Dill leaves are feathery, fern like and dark green in colour. Fresh and dried dill leaves are widely used as herbs in Russia, Germany, Greece, Poland, Norway and many other countries. In India dill is known as shepu in Marathi, savaa in Hindi, soa in Punjabi, sadhakuppu in Tamil, soa-kura in Telugu, sabbasige soppu in Kannada and chathakuppa in Malayalam. Dill is a unique plant, because both its leaves and seeds are used as seasoning. It is rich in vitamin A, C, B6, folates, riboflavin, calcium, iron and other important minerals. Dill has an essential oil called Eugenol, which has been in therapeutic use as local anaesthetic and antiseptic. Eugenol also has been found to reduce sugar levels in diabetics. Dill seeds have been used in traditional medicines for digestion, as disinfectant, for more milk production in nursing mothers and to cure neurological symptoms like headaches and neural instability. [Information collected from various websites including Wikipedia]. Do check out other Vadai Varieties here. Thayir vadai is yet another delectable and my favourite evening snack. I love it so much I can finish off one whole plate in no time. 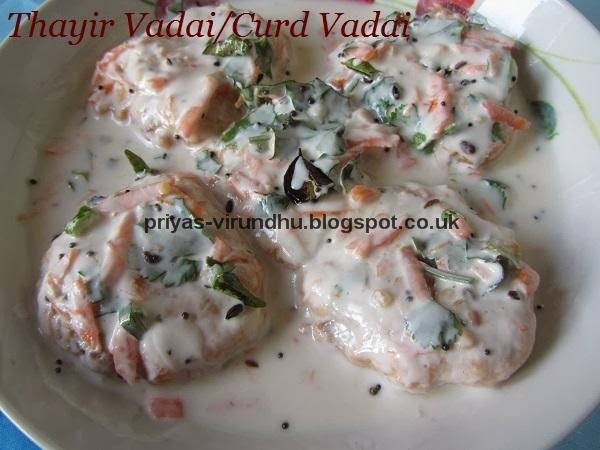 The best part of thayir/curd vadai is, though the vadai’s are fried in oil, as they are soaked in water for about a minute and when squeezing out the water all most all the oil also comes out of the vadai and they become very soft. All the goodness of yogurt/thayir, protein from urad dal, added vegetables makes this a delicious evening snack. 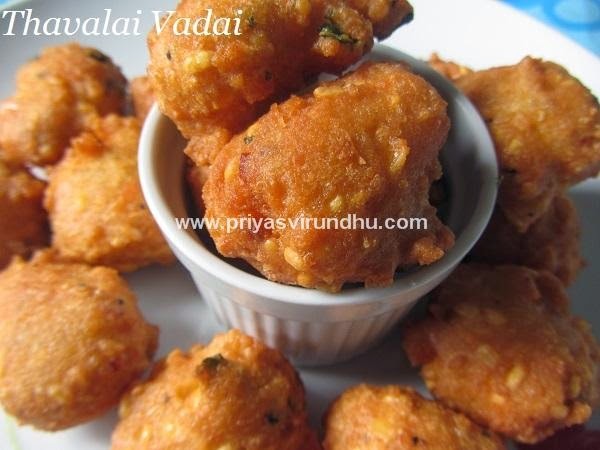 Do check out other Vadai Varieties here. 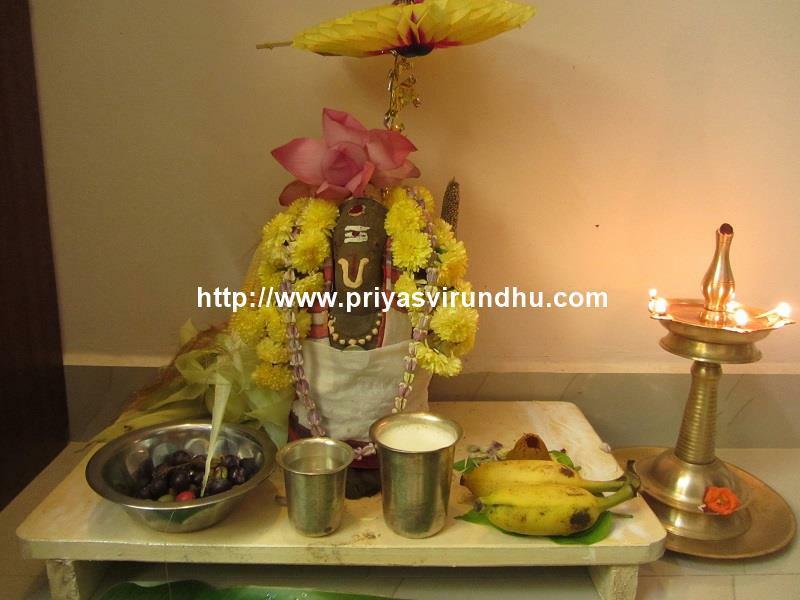 Here’s how to make Thayir Vadai with step by step photos…. For this month’s IFC challenge we are exploring Rajasthani cuisine chosen by Mrs.Manjula of Desi Fiesta. Thanks a lot Shobana, Saraswathi and Manjula for all the wonderful challenges. Rajasthani cuisine or Marwari recipes is a splendid array of unique, rich, colourful, spicy curries and mouth-watering delectable sweets. This style of cooking, is not only the mirror of wealth and prosperity, but also reflects the traditional warrior lifestyles [the Rajputs] and the availability of ingredients in this water starved region. Food that last for several days was given more preference. 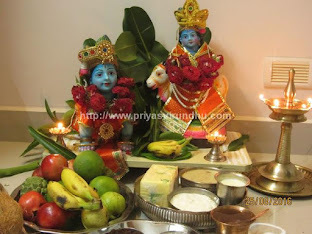 Due to the scarcity of water, the cuisine involves use of milk, yogurt or buttermilk to wet the gravies. Instead of greens, they use different types of local berries. The use of lentils and legumes, mainly Jowar, Bajra and Gram flour in their food keeps the nutritional value very high. Once cooked, these most of the traditional Rajasthani vegetables can be eaten over days and don’t need refrigeration for weather condition over there keep the food good. For this month’s challenge Mrs. Manjula Bharat chose a royal festive spread of Rajasthani recipes and I chose to do few Moong dal Vadai, Missi Roti, Jaipuri Sabji for the challenge. Do check out other Vadai Varieties here. 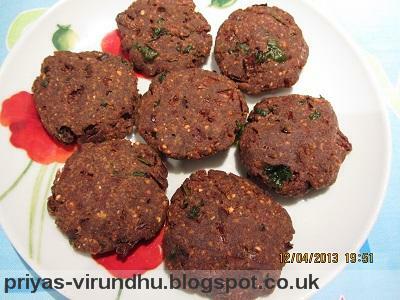 Keerai vadai is a very common snack in Southern India. 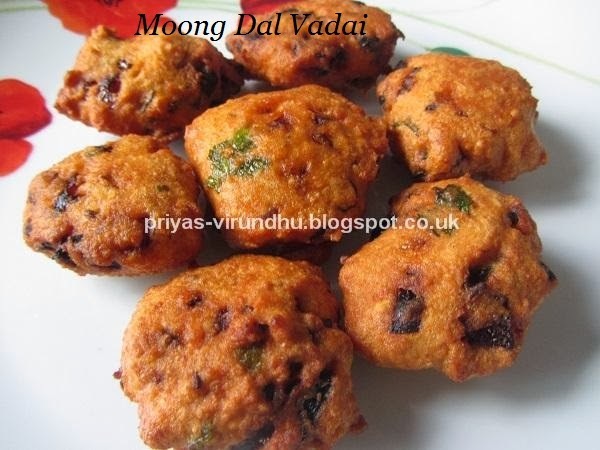 This vadai can be made with different combination of dals, but here I was used urad dal. It is a perfect evening snack with hot piping tea or coffee. I have used spinach you can use any other greens that is available. 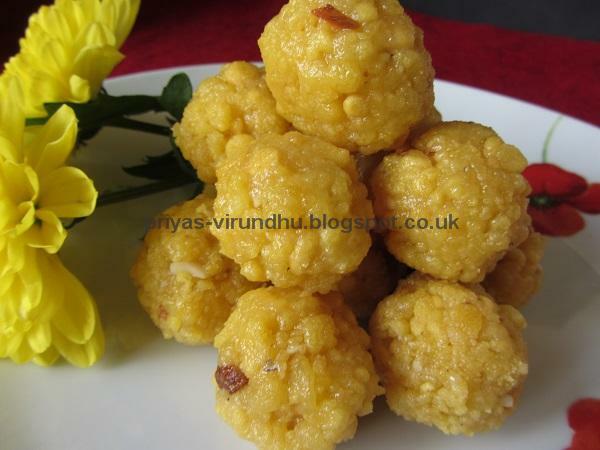 This is totally irresistible keerai vadai and you can never stop eating them. Do check out other Vadai Varieties here. 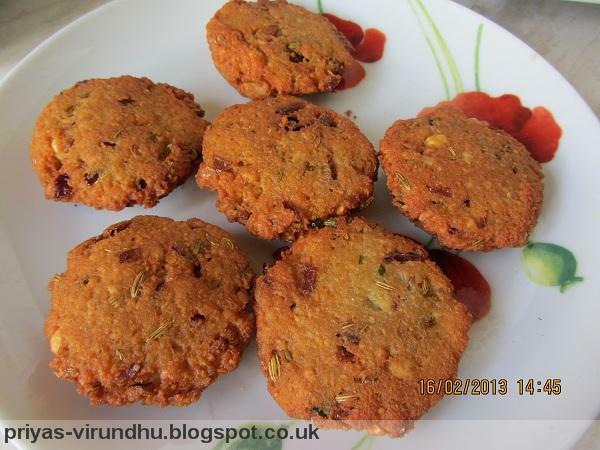 Urad dhal vadai is a very common snack in Southern India. 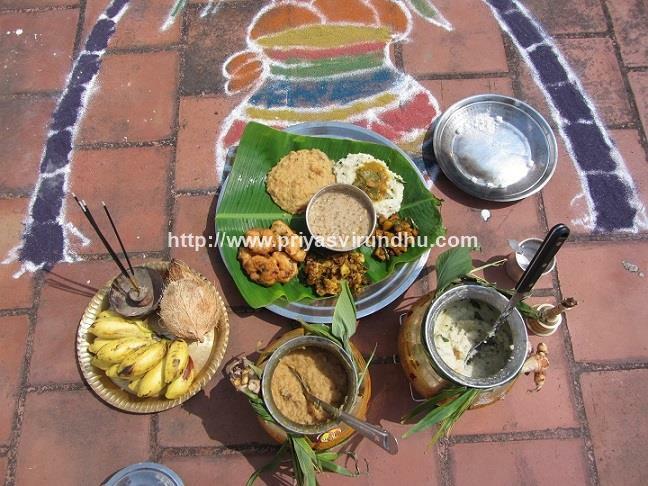 It is made on all special occasions and festivals. It is a perfect evening snack with hot piping tea or coffee. One vadai is always never enough for anyone. Once you start eating it you always want more. Do check out other Vadai Varieties here. A very yummy delicious masala vadai from my kitchen to your's. My kids love masala vadai, its crispy outside and crunchy inside. Just give it a go, you will surely fall in love with this wonderful recipe. Do check out other Vadai Varieties here.